Exercises are usually done for multiple purposes like strengthening the body, toning up the muscles and just for merely looking good. One has to decide what this focal point is going to be even before starting an exercise regime. Seeking the guidance of a qualified Fitness Trainer will always value add to all the efforts and time put in workout. While some men focus on their lower part of their body, some focus on the upper part of the body and mainly shoulders. Broad shoulders add to the masculinity of men. Irrespective of the type of exercise or the purpose of the workout ensure to do enough warm ups. Increasing the number of repetitions lifting light weights is no more in practice. The extent of calories burnt is increased by doing higher volumes of heavy work in increased number of repetitions. This enables burning of calories not only during the workouts but even after workouts and is felt openly. This approach is called excess post-exercise oxygen consumption, or EPOC. Movements are faster in this approach to enable muscle burn felt easily. Seated Barbell Military Press, Dumbbell Lateral Raise, Bent over real Delt Raise, Cable Front Raise, Upright Cable Row, Reverse Machine Fly and Lateral Raise Machine are some of the workouts that are considered higher Delt defining. 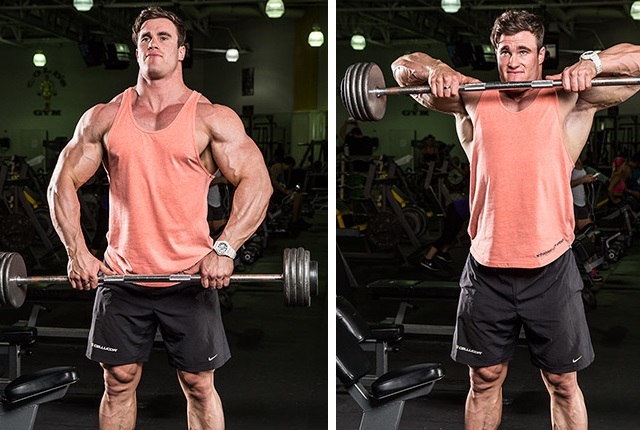 Middle Delts play a crucial in projecting your shoulders look wider. This also creates an illusion of sleek waists while broadening the V Taper. However, these are possible only if workouts are done focusing on the middle delts. 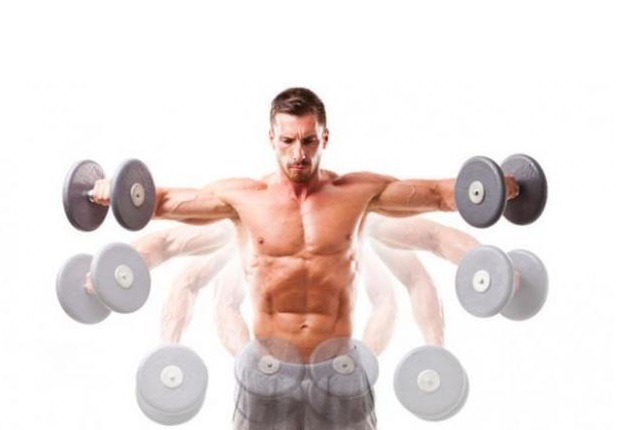 Barbell Shoulder Press, Upright Barbell Row, Leaning Dumbbell Lateral Raise, Lateral Raise machine are some of the exercises that can help you focus on working out the middle delt. Workouts that train chest gives good front delt since these are automatically involved in all the inclines and pushes. But it is necessary to work out separately for Front Delt. Some of the workout for an effective front delt is Barbell Shoulder Press, Arnold Dumbbell Press, Front two dumbbell press and Cable Front Rope Raise. The hands play a crucial role in workouts for strong shoulders and so it is essential that your Triceps cooperates for the complete workout regime. Do the single joint movements first so the delts fail before the Triceps. Do not go too heavy on single joint exercises since they may hurt the elbow joints. 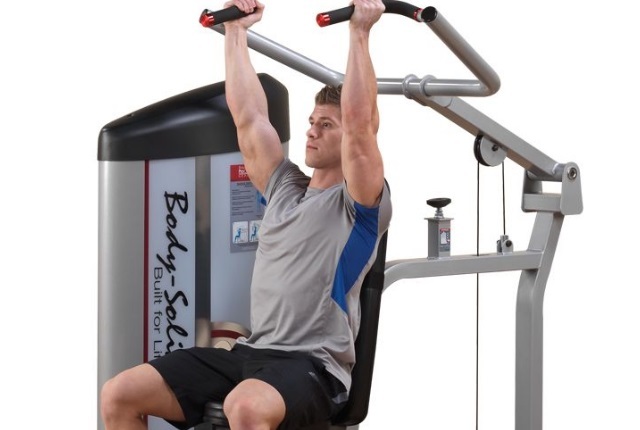 Adjusting the weights to suit your capability is very important in every stage of exercising. Also, interchange the order of these exercises to suit your comfort level so that you derive maximum benefit out of doing the same. When the order is interchanged, sometimes you may feel weaker on the overhead presses and stronger on the single joint movement. Never mind as long as you are okay with it.